A fun new way to introduce the alphabet to pre-schoolers! Select a letter, then press it down into the ink, lift, and press onto your paper. 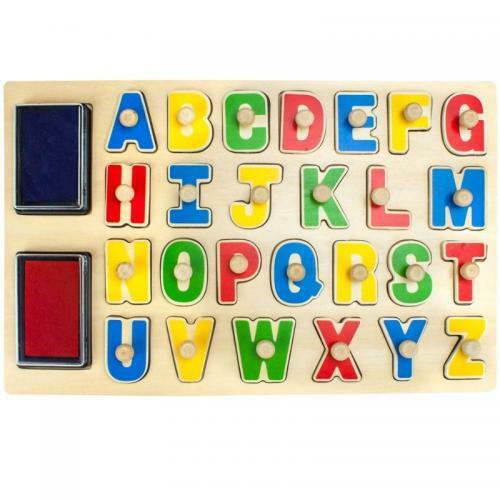 Your little one will be creating alphabet art and spelling out words in no time! Learning through play supports language skills.